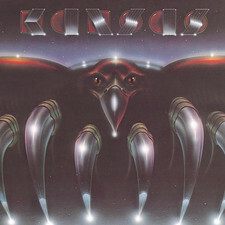 Now maybe I swear in the church but for me it is the "Elefante-era" with Kansas which is the the best era with band and so it is great that Rock Candy publishes the two masterpieces by the group in which John sang - Vinyl Confessions and Drastic Measures. 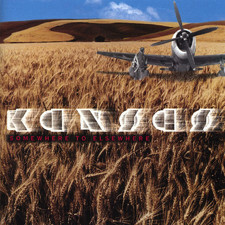 Please - understand me right now... I love the albums the group recorded in the 1970s too, but for me who love AOR more than progressive pomprock, these two discs are something completely different. 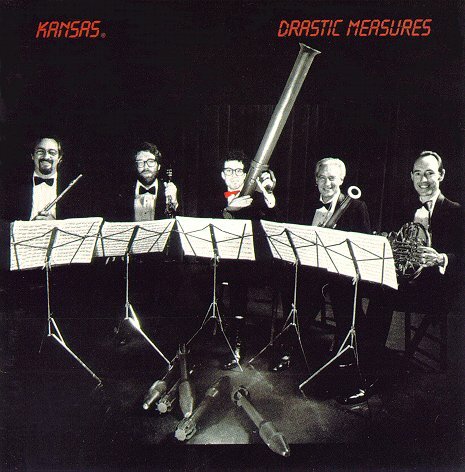 It is even so that I would even say that "Drastic Measures" is an "Elefante-album" when all the songs except three were written by John and Dino Elefante. 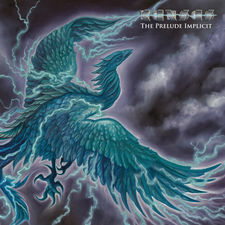 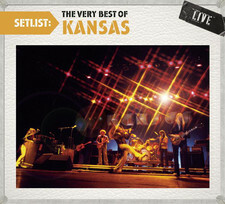 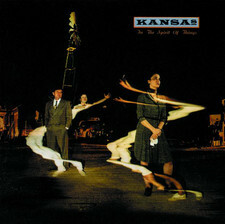 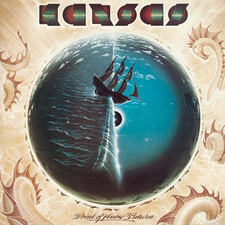 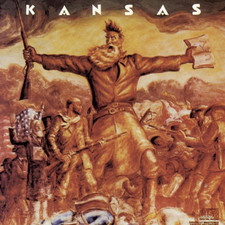 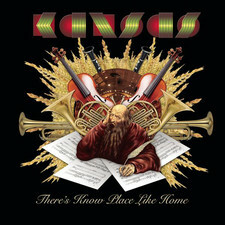 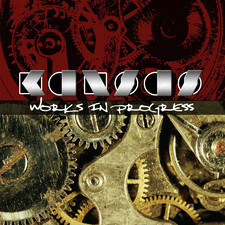 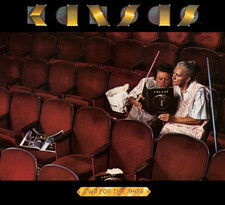 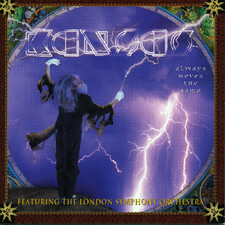 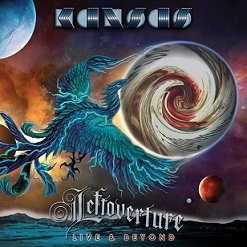 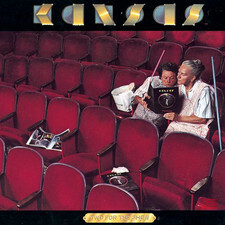 So Kansas from the 1970s is one thing and Kansas last two albums before they ended the band for the first time another. 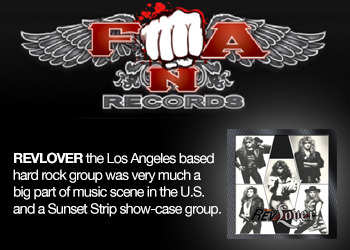 If we start with Vinyl Confession, it was a band that John met that was in a crise. 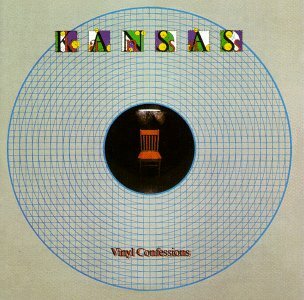 Vinyl Confessions was a major turning point for the band. 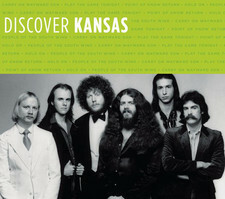 After the conversion of Both guitarist / keyboard player Kerry Livgren and bass player Dave Hope to Christianity, And the focus that Livgren Placed on his religion into the band's lyrics, lead singer Steve Walsh did not agree with the new direction of the band and left to form his own band, Streets. 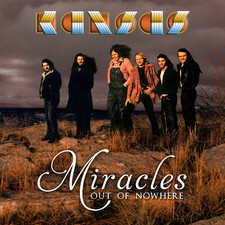 Walsh had also contributed much as a songwriter, so the band was forced to find a new lead singer who not only had a vocal style that fit the band's music, but also could contribute material for the upcoming album. 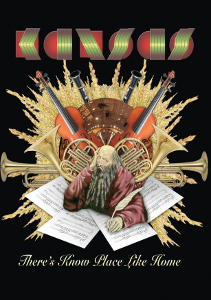 After a long audition process, the choice came down to three strong candidates: Warren Ham, Michael Gleason and John Elefante. The band eventually settled on Elefante. 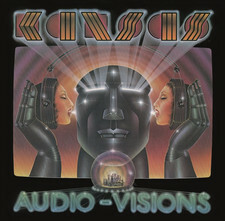 Kansas took the stage one step further from their progressive era, something they already started with the "Audio Visions" where the band had a minor radio hit with "Hold On". 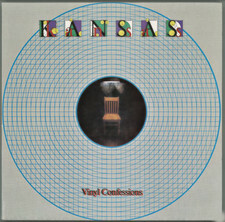 In "Vinyl Confessions" proved the band that the decision to move towards a more radio-friendly sound to be a completely right move when the single "Play The Game Tonight" climbed all the way up to fourth spot on the U.S. 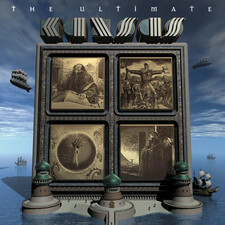 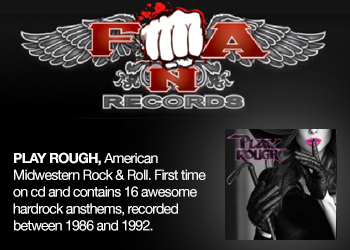 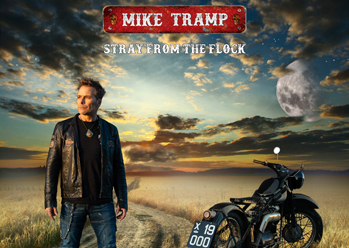 Billboard mainstream rock chart and the album went up to 16th place on the Billboard chart of best-selling discs. 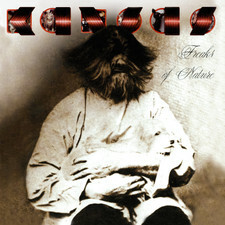 Vinyl Confessions didn't go unnoticed by the Nascente CCM industry, which was just coming into it's own at that time. 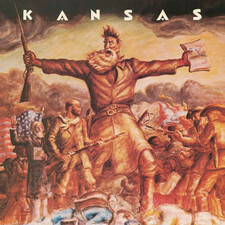 Numerous christian magazines trumpeted Kansas' new musical direction, and CCM magazine even chose Vinyl Confessions as the # 1 CCM album of 1982. 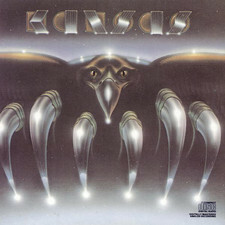 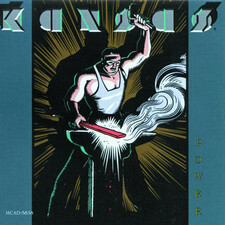 All this attention created an entirely new audience of listeners for Kansas, but it also created further tensions within the band. 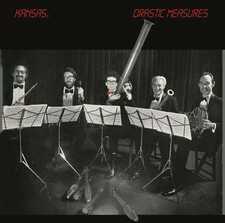 Those tensions came to a head during the recording of their next album, Dreastic Measures. 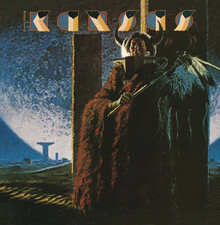 Musically "Vinyl Confessions" is pure heaven for us lovers of melodic pomp AOR. 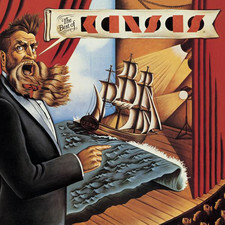 John sings amazing and the song material is totally awesome. 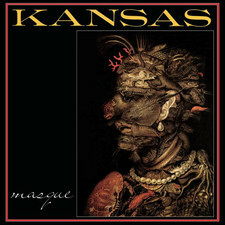 The first one out "Play The Game Tonight" sets the tone and after that you have refrain and hooks all over ... 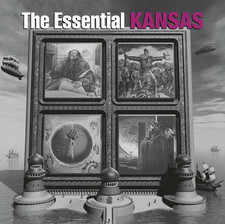 The Elefante-written Right Away "is a typical AOR-killer," Chasing Shadows" is nothing else than a marvelous soft song into a typical Kansas-costume, the Kerry Livgren-written" Diamonds and Pearls" sounds more like the late 70's Kansas with a great vibe, and his more progressive "Windows" proofs that Kerry still sat on the capacity as a songwriter into an "old-fashioned" Kansas type of songwriting with a great result and the absolute stunning "Play On" written by John & Dino is a masterpiece. 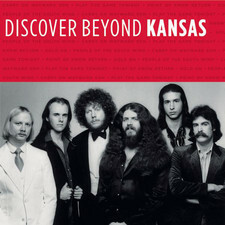 Overall, this disc is a classic AOR-album. 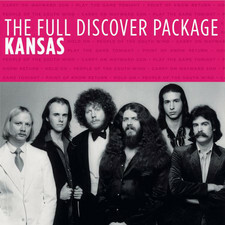 Of course, all 10 songs are not worth 5 stars but overall, it's impossible not to bring an overall rating other than a five stars. 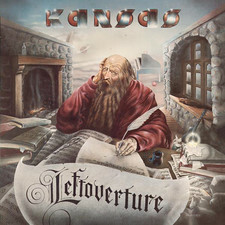 A classic album from the AOR- world when the genre stood at the top - in the early 80's. 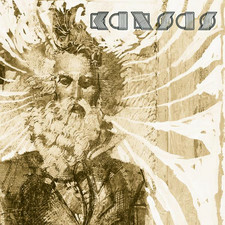 Just marvelous.